As a mother and a Librarian, I used Mother’s Day as a focal point for my classes this week. Rather than read books explicitly about mothers for my youngest students, I chose to focus on books that portray moms in much the same way my students observe them. From my own experience as a mother, I adore the portrayal of Olivia’s mom in the series by Ian Falconer. Olivia’s mother can be seen sitting building a sand castle with her daughter or reading to Olivia before bed. She is busy attending to her children throughout the narrative and that is something very appealing for the children that read these books. Another book where I love the way the mother is drawn is in Jack Ezra Keat’s The Snowy Day. Peter spends the day alone exploring the snowy world outside his apartment but at the end the day when he comes home, his mother is there to peel off his wet clothing and hear all about his adventures! Finally, I really appreciate the Mama llama in Llama Llama, Red Pajama by Anna Dewdney. 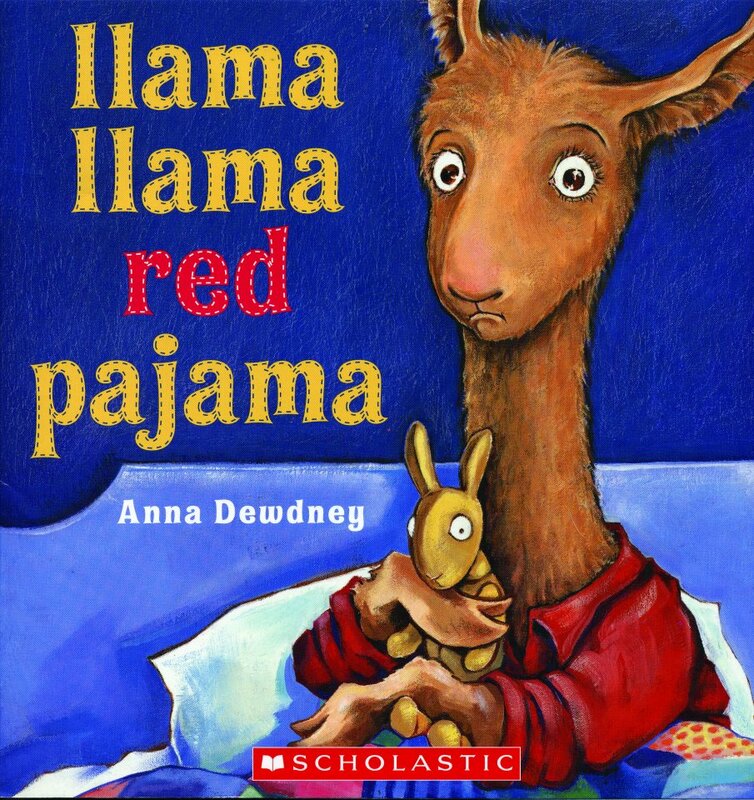 In this witty book written in rhyme, Llama Llama starts to fret about being alone in the dark after Mama has tucked him in! I love the opportunity this narrative provides for me to explain what a phone looked like when it was attached to the wall with a spiral cord attached to the receiver! Another theme that I explored in the picture books I selected this week were narratives in books without a mother figure in them. 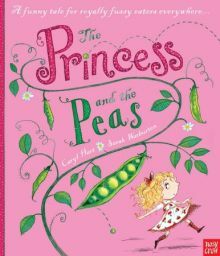 The Princess Knight by Cornelia Funke and The Princess and the Peas by Caryl Hart were enjoyed by all. Both stories portray very spunky protagonists and craft a storyline where there is a breakdown in understanding between father and daughter. In the end everything is rectified, but the books serve as a good reminder that not every child has both a mother and father. Using the theme of “mother earth,” I also sought to include depictions of women in picture books who cared for our earth. The titles I selected were Mama Miti by Donna Jo Napoli, Miss Rumphius by Barbara Cooney, and The Tree Lady by H. Joseph Hopkins. In each of these books the central figure is a woman that does something to make a lasting and significant difference on the environment. My students made connections about the way their own mothers care for them and how these women cared for the earth in much the same way through their nurturing, dedication, and patience. In Our Mothers House by Patricia Polacco is a wonderful book to engage the class in a discussion about what is the essential component of a family. 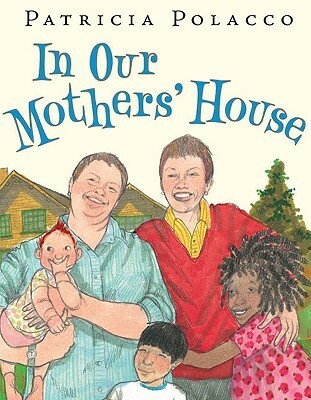 How does our own family compare to that of the one portrayed in this book where two mothers have adopted three children? Students are able to articulate the characteristics essential to be able to raise a family of strong, independent children. And the students never fail to comment to how much love is expressed in the images of this family! Whenever possible, I seek to work poetry into any lesson that I can with students. Reading poetry aloud provides a platform to discuss the author’s economy of language and symbolism used when dissecting the text. 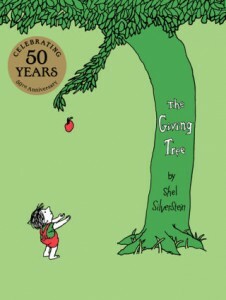 How could mother’s day pass without a look at The Giving Tree by Shel Silverstein? For my students in third and fourth grade they are typically surprised by this book. It is such a sharp departure from the humorous poetry he made his signature, but it never fails to inspire the students to talk. 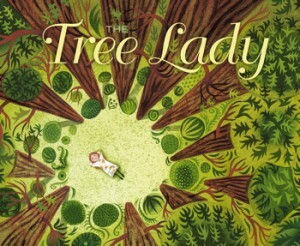 And the conversation from our discussion is rich – does “the tree” symbolize a parent? How do we treat the people who love us unconditionally? What do we really need to be happy? Finally, as the day came to a close in my own home, I had my daughters listen to The Lanyard by Billy Collins. If you have a poem or picture book that you love reading for Mother’s Day, please share it so we can all add it to our list or resources on this topic! ALA Media Awards – Books I love! In February, I eagerly watched the announcements for the 2015 ALA Youth Media Awards. These awards are a professional highlight and the final selections never cease to surprise me! Though there will always be debate over what makes the final cut, at root I see these awards as a way to highlight great books for my students and discuss collection development. For the past several years I have presented an overview of the award winning books and authors during our lower school morning meeting. The girls and the faculty look forward to seeing familiar titles and surprises as much as I do. The presentation is also a vehicle for informing students about the numerous awards for which the American Library Association recognizes books and authors with distinction. The following books are selections that I was so pleased to see earn recognition! 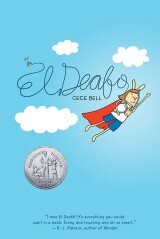 2015 Newbery Honor Book: El Deafo by Cece Bell – It was such a pleasure to see this book gain recognition at the national level! Written as an autobiographical account of her own deafness brought on by childhood illness, this book was a title I had pre-ordered through Amazon months in advance and I was not disappointed after I spent an afternoon reading it straight through. Ms. Bell does a masterful job capturing her own isolating experience of deafness in all its complexity. The author’s struggle to make friends, survive school, and find a place within her family, are all so expertly captured and illustrated that I cannot wait to reread it. 2015 Caldecott Honor Book and 2015 Pura Belpré Illustrator Award: Viva Frida by Yuyi Morales – I have long been an ardent admirer of Frida Kahlo and although there are several biographies for children about her, this is the most authentic one I have read. Frida Kahlo was such an incredibly unique artist that encapsulating her dynamic force in modern art is a challenge for an author that writes biography for children. In this exploration of the imagery of artist Frida Kahlo, the ethereal narration in both English and Spanish, guides the reader through the heart and soul of Frida! The art for the book was created using stop-motion puppets made from steel, polymer clay, and wool. The artist illustrator Yuyi Morales also employed painting and digital manipulation of the photographs to create a warm, accessible view of her career. Viva Frida uses technology in a way that makes the pictures truly captivating for the reader. Through Yuyi Morales’ work we get a chance to follow the life of Frida and discover her own world of fantasy that is full of animals, love, and creativity. I am going to use this book to compliment Frida: Viva La Vida! Long Live Life! by Carmen Bernier-Grand to promote National Poetry month in April. 2015 Robert F. Sibert Informational Book Medal: The Right Word: Roget and His Thesaurus by Jen Bryant and Melissa Sweet – Established in 2001, this medal is awarded annually to the author and illustrator of the most distinguished informational book published in the United States in English during the preceding year. I love Melissa Sweet’s illustrations and she has carved a niche creating visually accessible non-fiction for some of our youngest students. This book details the life of the Peter Mark Roget who created the original thesaurus first published in 1852 under the full title: Thesaurus of English Words and Phrases, Classified and Arranged so as to facilitate the Expression of Ideas and Assist in Literary Composition. The list of principal events provide context to Roget’s accomplishment and give the audience a lot to explore beyond his own contribution to writing. My favorite passage from the book was one that I will invariably use in time to come! “Peter’s family moved often, so making friends was difficult. What were your favorite 2015 ALA award winners?